Elevate the brand and extend the digital presence of one of the fastest growing global real estate investment companies in the world. Kennedy Wilson (NYSE:KW) is a global real estate investment company that owns, operates and invests in real estate on their own and through an investment management platform. The company focuses on multifamily and commercial properties located in the Western U.S., U.K., Ireland, Spain, Italy and Japan. When looking to relaunch its corporate website, Kennedy Wilson partnered with Urban Insight. 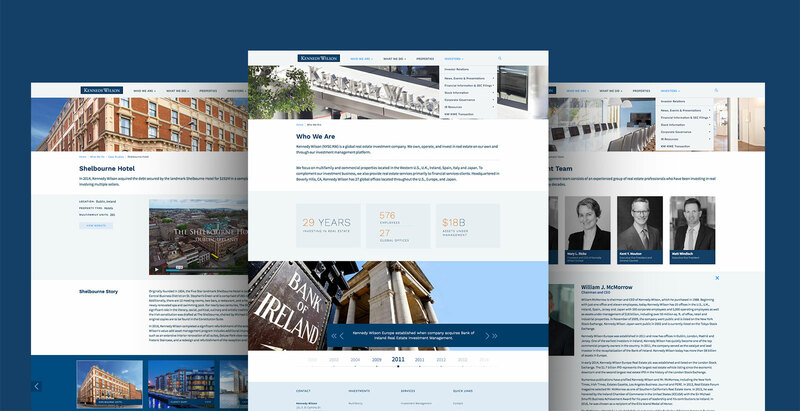 Kennedy Wilson wanted to unify their corporate website with a new visual design and implement a flexible content management system to optimize content for mobile and tablet devices, to quickly deploy new website features, and to enable distributed management. The new website uses the Drupal content management system to enhance Kennedy Wilson’s global reach. 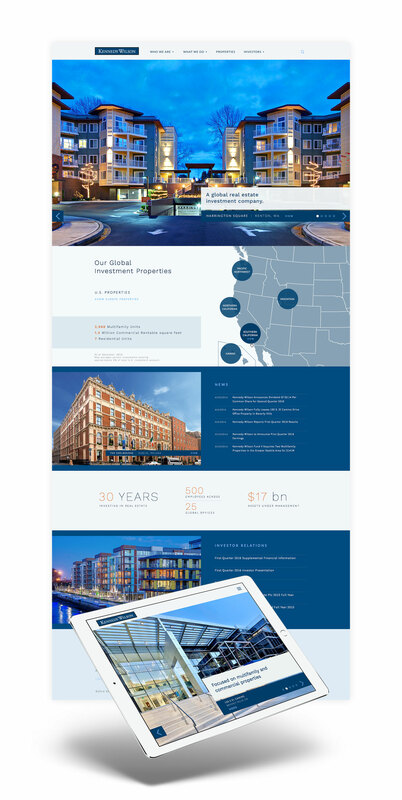 It showcases Kennedy Wilson's history with an interactive timeline, enables fast and easy content discovery with a site-wide search, and strengthens their brand on all devices, due to a beautiful mobile responsive design. Kennedy Wilson was able to deploy a firm-wide broker directory and an advanced search interface for their property portfolio that elevates how visitors discover their properties.